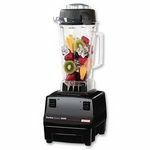 BLC10650HB Features: -Cyclone blender.-10 Speed settings, plus pulse.-Multi-level stainless-steel blades.-48 oz. Glass blending jar contoured for cyclone-style mixing.-2 oz. Measuring-cup insert and cord storage.-Dishwasher-safe parts. Color/Finish: -Color: Black. 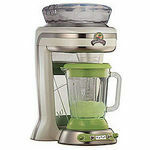 Specifications: -650W Peak-power motor and push-button controls. Dimensions: -Dimensions: 13'' H x 7.8'' W x 11.2'' D. Warranty: -2-Year limited manufacturer's warranty. 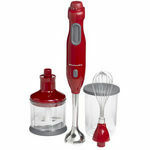 I can't get enough of black and decker, all of my small kitchen appliances are by them! 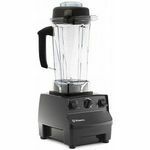 This blender is a definite must have If you love smoothies, milkshakes, anything that needs to be blended. It's pretty self explanatory, anyone can figure out how to use it. It is very powerful, I just wish it wasn't so loud I'm still even scared of it sometimes and so is my niece. It works very fast, crushes ice like nothing and blends like a dream. I've used blenders in the past that were just horrid but after having this for so long I don't see myself going to anything else. Very easy to clean, just like cleaning any other kitchen item. It's great that I can make anything with this, if you're into making drinks and protein shakes this is definitely for you. 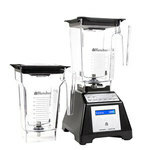 After a few years of using so much the glass actually broke while I was blending a smoothie, luckily I was able to bring it back(after almost five years) and get a band new one at no cost) because this is just such a great blender and anyone who needs a blender without having to get w complicated one, this is definitely for you! I bought this blender a while ago and finally broke it out to use it. I initially bought it because I wanted to make mixed drinks and mix my protein shakes. It was affordable so I took the plunge. When I first used it, the assembly was super easy. There are only a few parts so it's easy to set up. When I made a blended drink, the ice blended smoothly along with my fruits. The top stays on tightly and I do not have to worry about leaks or splatters. It is super easy to clean and I store it right under my counter. In regards to making protein shakes, I usually put my milk on the bottom and put my powder on top of that. I recently added frozen strawberries to the mix and blended it using multiple speeds to make sure it was all blended smoothy. It worked great! The blender is a little loud for my 2 year old, but it usually does not take long to get everything blended it. 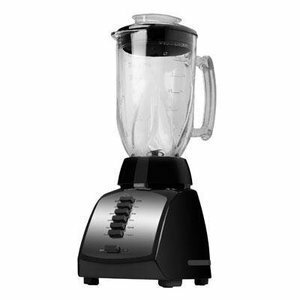 The blender is also really easy to wash. I never have to take the blades apart at the bottom to get them clean. All I do is run it under water to rinse everything out, then wash as a normal dish. I definitely recommend this blender! Blending Power Blends very smoothy! Versatility There are many blending options. Ease of Cleaning It does not take much to get it clean. Just a simple rinse right after use. Ease of Use It's easy to put together and use. Design I like the sleek look. More colors would be great! Durability I've had mine for almost a year with no problems.